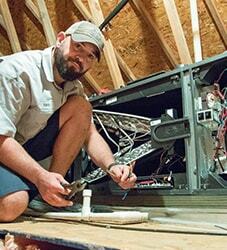 Business and home owners in the Fredericksburg area who are looking to reduce their carbon footprint while lowering their utility bills might want to consider having a geothermal water furnace installed on their property. 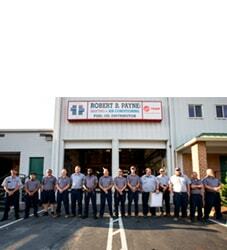 Robert B. Payne, Inc. recommends these units because they provide renewable and free energy that is found right in your own backyard. Geothermal water furnaces have been known to save up to 70 percent on cooling and heating bills as well as the overall cost of hot water. The way geothermal water furnaces work is that they use the heat that is absorbed by the ground to warm up or cool down your home or business, while also providing hot water. Essentially, geothermal systems use the balanced temperature of the earth to create a balanced temperature in your home without the need to create cool and warm air. 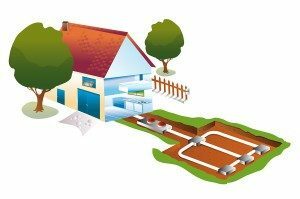 In order to heat your home, the geothermal system starts by navigating water through the earth loop, pulling heat from the ground while it does so. As the water is warmed, it is circulated to the heat exchanger where heat is absorbed from the water by refrigerant. The chilled water is directed back to the earth loop where it pulls more heat from the earth. For cooling purposes, the water moving through the earth loop is at a higher temperature than the ground around it, which leads to a release of energy that cools the water. That water is then directed towards the heat exchanger inside of the heat pump, where the compressor gives off heat energy into the water before the water flows back to the earth. 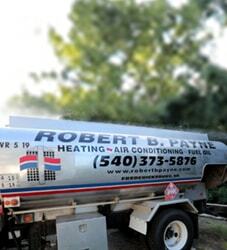 To request an estimate or learn more about geothermal water furnaces, contact us at (540) 373-5876 today.